Need to insure your Plant Machinery? Give us a call and save ££ today! If you find yourself working on clients sites, using either your own machinery or hired machinery, then you'll probably be in need of either plant hire insurance or plant insurance. As an insurance broker, we have access to specialist schemes which can insure both the machinery you own, and any plant machinery that you hire out. We have worked with hundreds of building contractors and tradesmen to insure their plant machinery at a reasonable cost, with the cover they need. Whether you're after third party cover, or a fully comprehensive insurance policy, we can help. 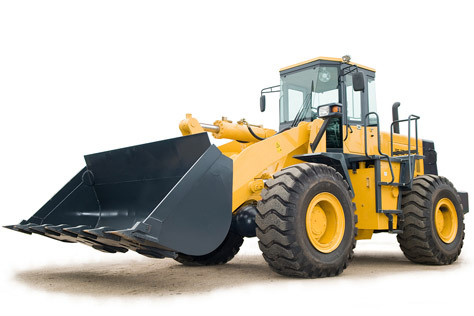 We know that plant machinery is expensive; often running into the tens of thousands of pounds. Incidents such as theft of machinery can have a seriously detrimental affect on the running of your business - and that's why we advise both businesses and tradesmen alike to take out plant hire machinery insurance where possible. As a broker, we can look to source either plant insurance, or plant hire insurance depending on whether you own the machinery. Some insurers might not be able to cover all types of plant machinery; especially high risk machinery such as Cranes, Dozers and Dumper Trucks. Here at One Sure, we pride ourselves on looking at each risk individually and use our expertise to approach underwriters on your behalf. Whether you have a Forklift, a Cherry Picker, a Mini Digger or a Bulldozer; we are confident that we can help. Give One Sure a ring today to see how our specialist special types team can help you to find affordable cover for your plant machinery; regardless of whether you own it or have hired machinery.